Its name comes from gurturgiu, a species of vulture, or from 'inghiottitoio' (ponor), perhaps relative to ancient excavations. In both cases, it fully defines the wild setting in which it is located. 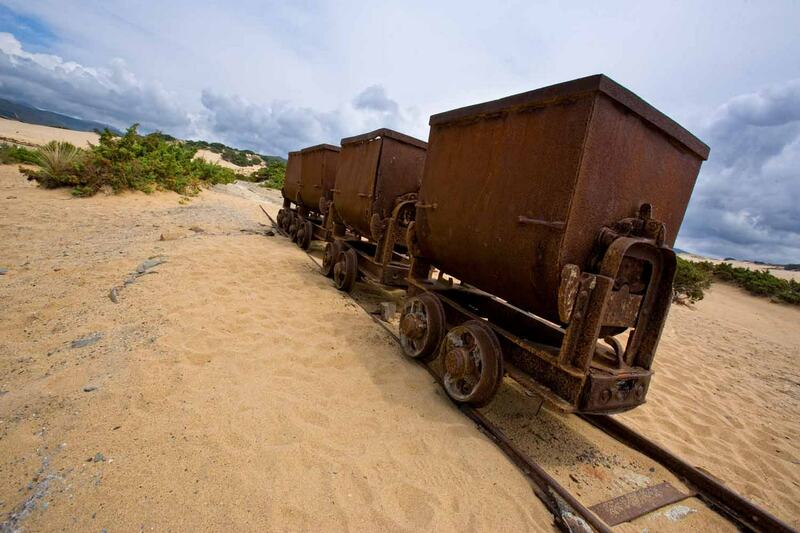 Set between rugged mountains, Ingurtosu, a district of Arbus, which is ten kilometres away, is located in the valley of Is Animas, which stretches as fare as the sand dunes of Piscinas, a gem of the Costa Verde, where wagons used for transporting extracted material are abandoned. For over a century, it was the business centre of two mines, that of the same name and Gennamari, which were part of the Montevecchio complex. Today it is a deserted village in ruins. 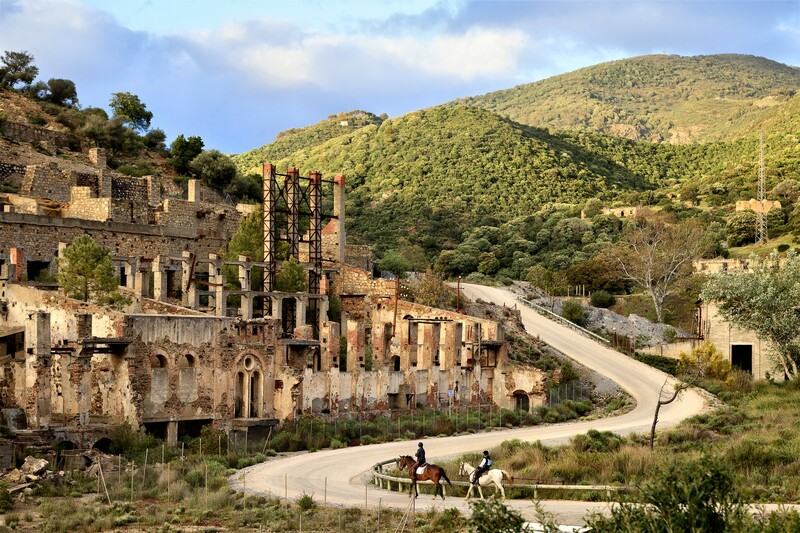 The mining settlement extends along the entire valley, where there is an evocative atmosphere. You will move through timeless landscapes: the ruins of houses, plants and wells, enormous heaps of waste materials and rusted carts. A village out of the far west, now almost fossilized. Along the valley, you will find the remains of construction yards, washeries and seven villages, with a total of 900 total spaces that accommodated up to 2,500 labourers and their families. 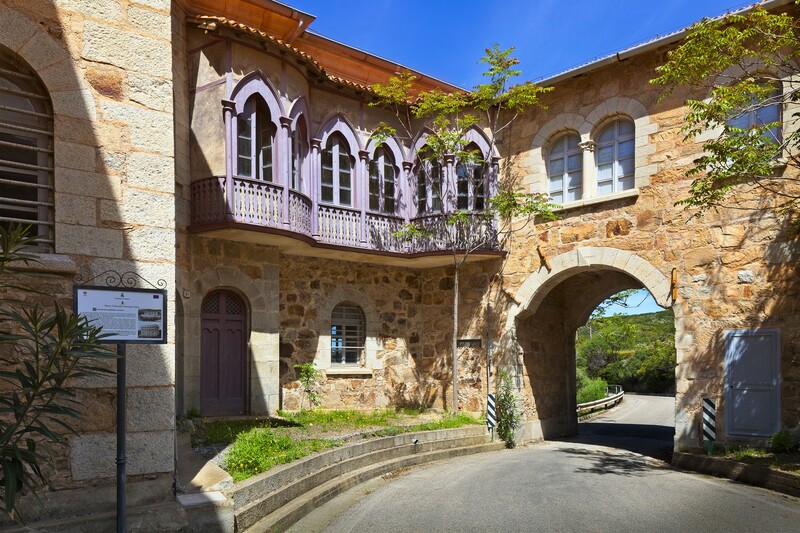 The humble miners' dwellings with the imposing granite management building, known as the 'castle', built (1870) in Neo-medieval style and characterized by an elegant balcony closed-in by glass panes. Its position was dominant. Alongside them, you will see an outlet and shops, post-office and newsagents, infant school and hospital, other services and even the cemetery. Then, there is the little church of Santa Barbara, patron saint of miners, dated 1916. 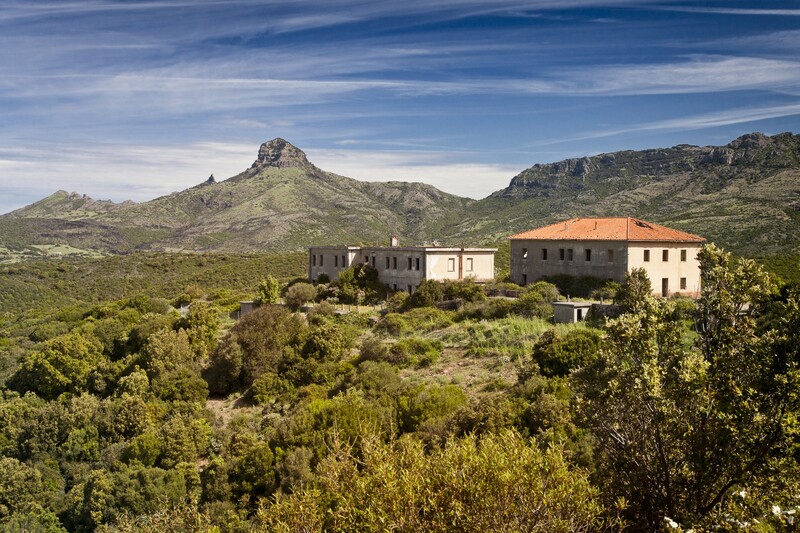 Along the road from Arbus to Ingurtosu, you can admire Villa Wright and Villa Ginestra, respectively the dwellings of the deputy director and the president of Pertusola, an English extraction company that managed the mines. Thanks to the highly advanced machinery, between 1855 and 1968, silver, lead and zinc were extracted from the numerous deposits. The apex of productivity was the period between the 19th and 20th centuries, following the transition to the English company: it meant development and innovation, which was the merit of Lord Thomas Brassey. The decline arrived after the Second World War, when the mining industry collapsed. Despite the concessions in 1964 transitioning to the Monteponi-Montevecchio company, the plants closed for good a few years later. The buildings became ruins and Ingurtosu a ghost town. Ingurtosu è una frazione del Comune di Arbus, a sud­ ovest della Sardegna. Da Arbus, s​volta a destra e prendi la Strada Provinciale 66/Strada Provinciale 4.18/Strada Provinciale 66. Gira a sinistra e prendi via Centro. Svolta a destra in piazza Cantina.